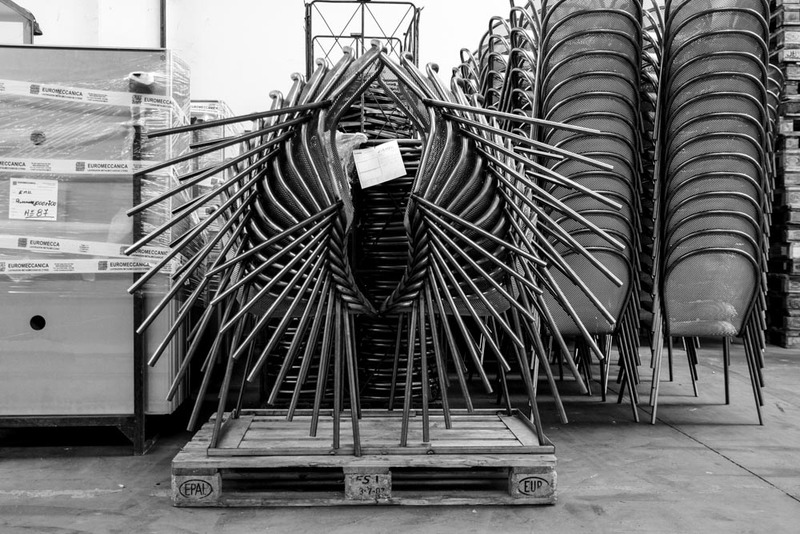 With its strong Italian roots, over its 65 years of history , EMU has developed an international awareness and interest that make its outside furniture collections suitable for every situation, in both the business and the private sector, in settings with different styles, from Northern Europe to Australia, from European Mediterranean countries to North America, from South America to Asian countries. The country is present throughout the world, enjoying growing success, thanks to the comfort and elegance of its products, with their strong design, expressed in harmony with the recognisable shapes and identity of its collections made in steel and aluminium, combined with innovative technological materials. Some of the most famous international designers such as Arik Levy, Christophe Pillet, Paola Navone, Patricia Urquiola, Jean Marie Massaud, Stefan Diez, Jean Nouvel, Samuel Wilkinson, the Chiaramonte/Marin design studio, Florent Coirier, Sebastian Herkner and Patrick Norguet, work with Emu on the creation of its collections, with a constant exchange of experience and ideas to best interpret and anticipate style trends, contributing to their distribution and consolidating their position on the market. Mastery of the most advanced technologies in the production process, the keen attention to detail and the quality of manufacturing and the products, and the ability to develop new manufacturing techniques creating solutions that enhance the continuity and purity of lines and shapes, are all hallmarks of every EMU product. All phases of production are controlled and managed by EMU, either in its Marsciano plant, in the heart of Umbria, or by overseeing all phases of processing in ancillary companies belonging to an integrated network following the most up-to-date models for the organisation of production. 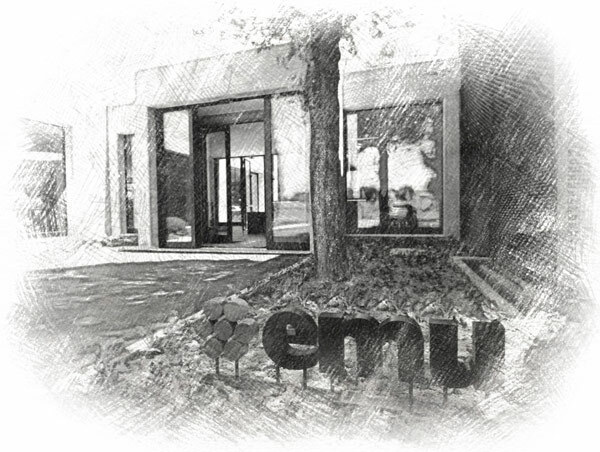 EMU products are subjected to European and North American certification procedures to guarantee their safety and environmental soundness. The company’s mission is to bring the Italian culture of open-air living to the world, producing signature furniture that combines tradition, technological innovation and quality, for private and public settings. To create unique products that last in time, thanks to their balanced combination of aesthetic appeal and functionality, technological development, manufacturing quality and respect for the environment. All phases of the production process are strictly monitored, from inspecting the raw materials on receipt, controls and tests during production, checking the assembled product before the cathodic dip coating and painting process, and including the approval of the finished product. EMU laboratories are fitted with equipment and instruments that are aligned with those in international certification laboratories. They run preventive tests following approved procedures before sending the products for official certification. 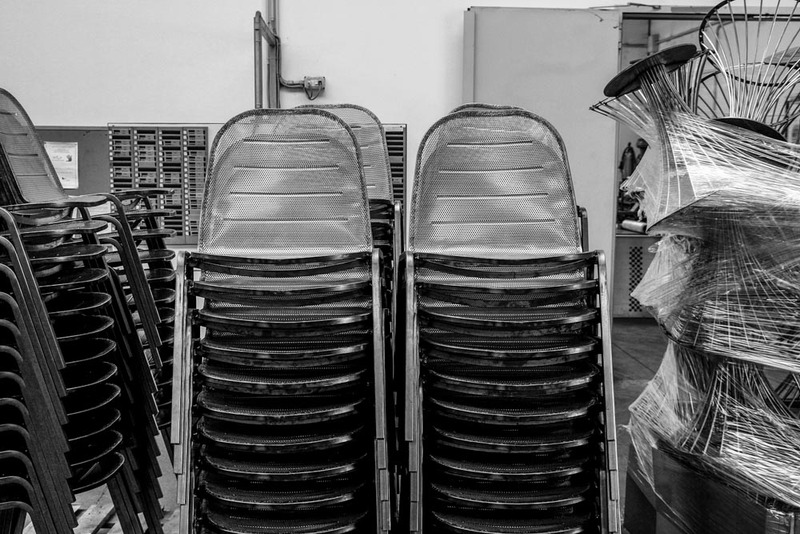 The company manufactures its products in its Marsciano plant, located in the heart of Umbria. It covers over 100.000 m2, of which nearly 50,000 are covered, and employs 150 workers. The company’s clients include over 1,000 retailers in 85 countries, operating in both the business and the private sectors. 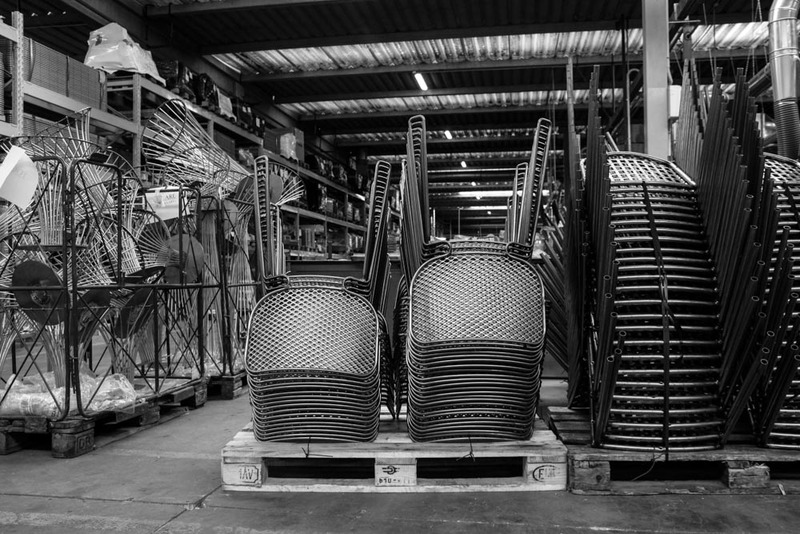 Every year over 400,000 items are produced using 2,300 tonnes of raw materials.